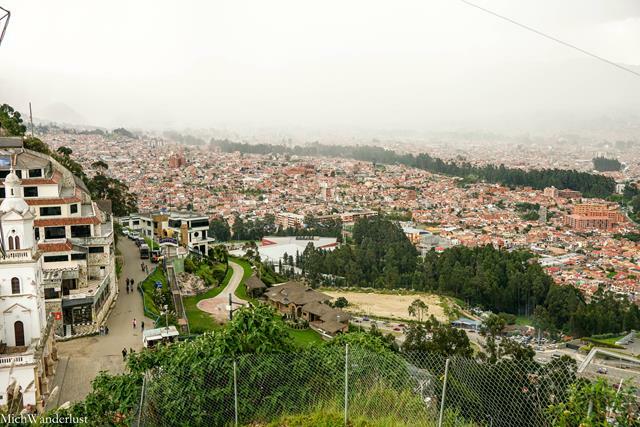 After a brief visit to Guamote, we made our way to Ecuador’s southern city of Cuenca. 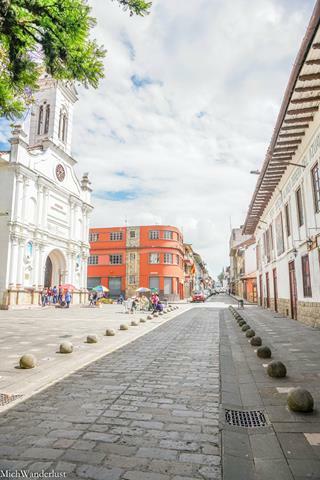 Similar to Quito, Cuenca is a colonial city dating from the 16th century and its historic centre is a UNESCO World Heritage Site. It has a completely different vibe from Quito, however. Quito is big, sprawling, and full of crowds (the tiny walkways in the historic centre don’t help). 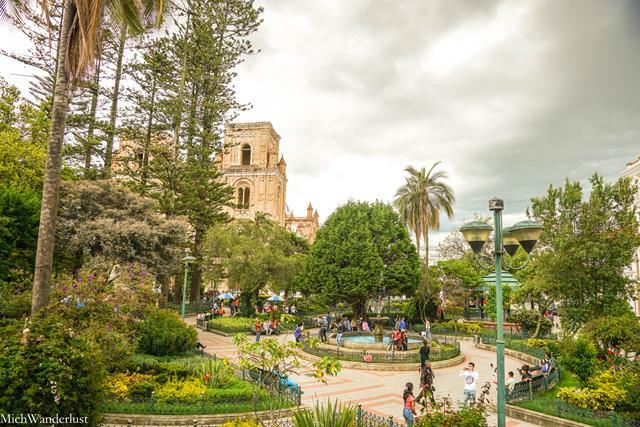 Cuenca, on the other hand – although it’s the third-largest city in Ecuador, it doesn’t feel like it. 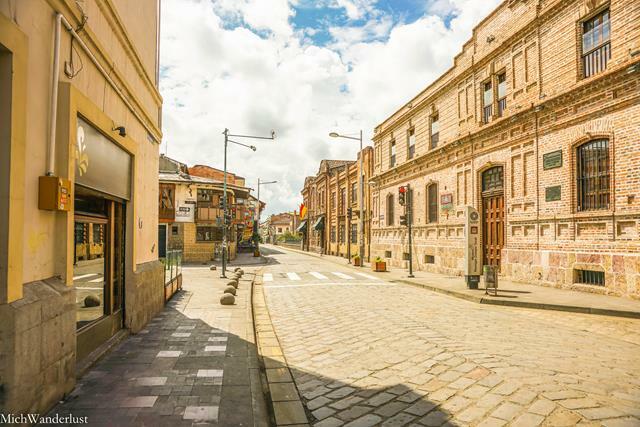 With its colonial heritage on full display everywhere you turn, it’s easy to feel like you’ve stepped into another era. I also loved the laid-back vibe of the city. It was almost surreal to be in a major city like Cuenca and not see people hurrying past you. Of course, that might have something to do with the fact that our first proper day of exploring was Sunday. I was taken aback by how empty the streets were! Ian and I arrived around mid-afternoon on Saturday, and caught a taxi to our AirBnB with no problem. 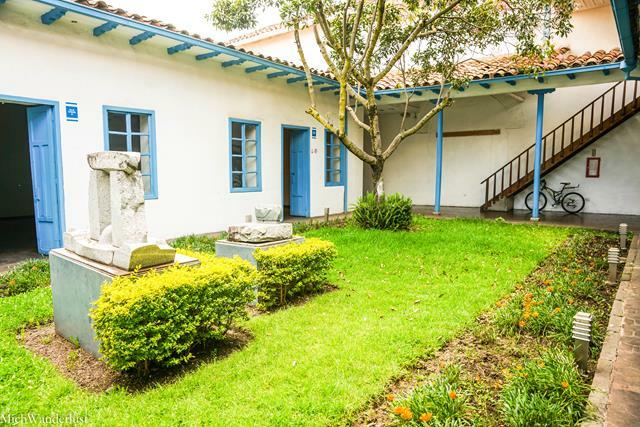 It was conveniently located right in the heart of the historic centre, in a converted colonial home. The family runs a crafts and souvenir shop on the ground floor. I fell in love with the aesthetic of the place the minute I stepped in. Hardly another soul in sight in the historic centre of Cuenca. A stark contrast to my home of Singapore, where I actively avoid the city centre on weekends because it’s so packed with people, it makes me feel like a pig in a(n overcrowded) pigpen. So to me, these empty streets were indeed the epitome of #SundayFunday. One downside though. Everything was closed. Well, almost everything (as you’ll see). But first, let’s get our bearings. 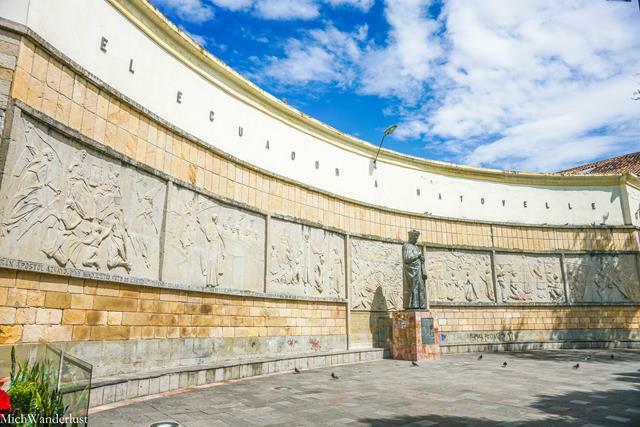 This is the largest plaza in Cuenca, which you can see a mile away thanks to the two cathedrals surrounding it. It’s excellent as a de facto home base for tourists looking to get their bearings: the hop-on-hop-off city tours buses depart from here. And there are a TON of restaurants around. 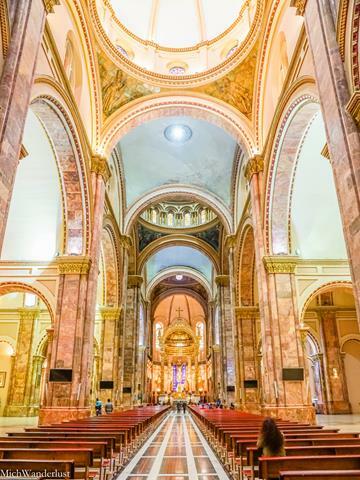 It’s known as the “new cathedral” because construction only started in 1885. 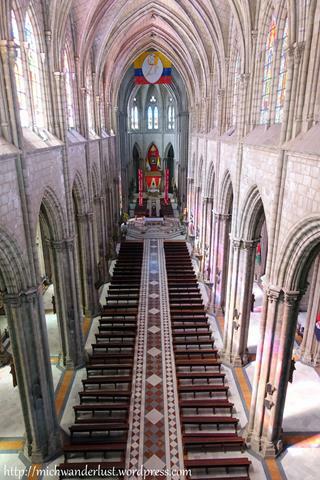 Across the plaza stands the “old cathedral” (El Sagrario), which dates back to 1500s. Back to the new cathedral – you can see it all the way across town because of its unmistakable sky-blue tiled domes. In any case, you won’t be able to miss the cathedral. 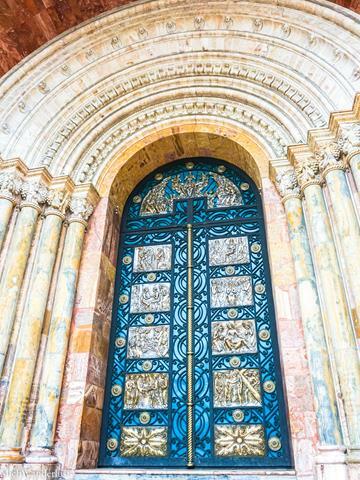 Even if the giant doors (below) don’t give it away, there’s a perpetual gaggle of vendors at its steps selling everything from snacks to rosaries. 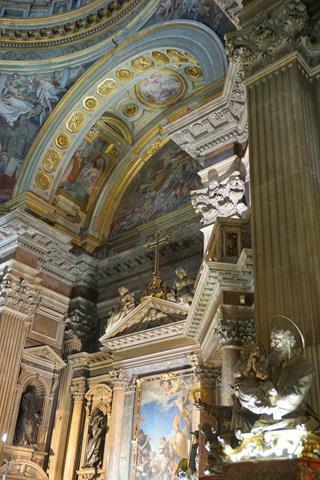 I’ve heard that cathedrals in South America tend to be plainer and less ornately decorated than its European counterparts. Why don’t you judge for yourself? I think there’s something to it, don’t you? But there’s still something about them that makes you tread a little more softly (okay, a lot more softly) and speak more quietly when you’re inside. In any case, by no stretch of the imagination can they be called minimalist! One thing I never quite figured out is whether they have guided tours or not. There were signs which seemed to suggest so. But we could never find out who to look for or where to register, although we came back a few times hoping for a miracle. 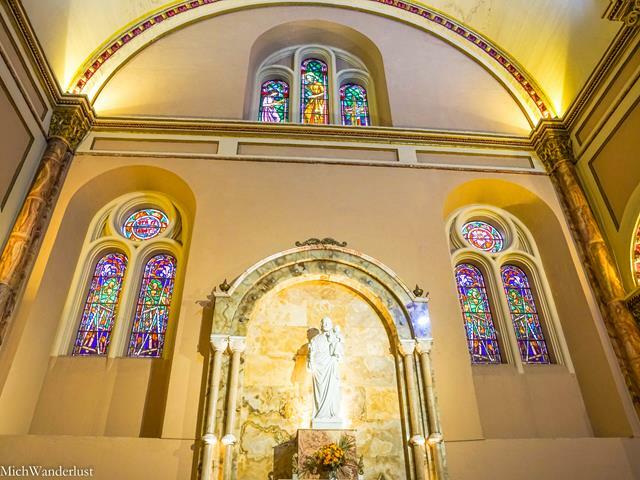 In any case, the cathedral is one of the few places open on Sundays (for obvious reasons! ), so it’s definitely worth checking out. Opening hours: Mon – Sat 6.30am – 5pm, Sun until 8pm. One block from the cathedral there’s a pretty little flower market – it looked like the flowers were church-related too. 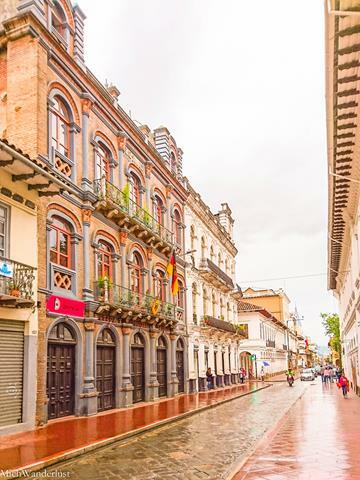 After breakfast, we walked along the empty streets of downtown Cuenca. Even though almost all the shops and restaurants were closed, it was still a glorious feeling. 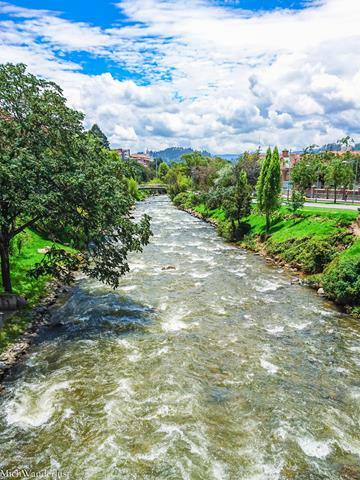 Cuenca is known as the city of four rivers, and I absolutely recommend walking along the Tomebamba river on a Sunday. There are a few people out and about, but it’s incredibly peaceful. The river effectively acts as a divide between the city’s historical centre to the north, and the more modern neighbourhoods to the south. Eventually, we found ourselves at this quiet little plaza on the western end of the historical centre. And – score! – we found a museum that was open! 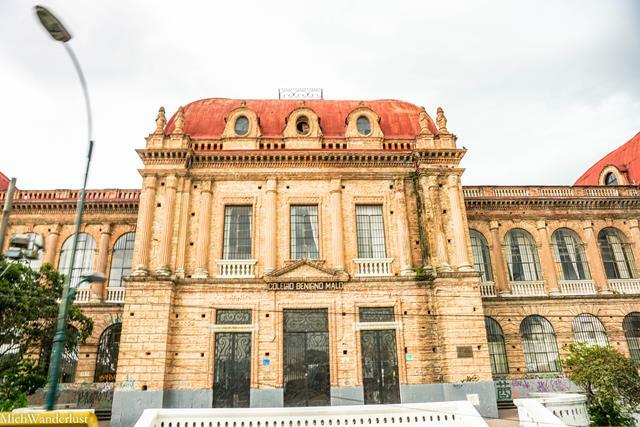 This modern art museum is located along the south side of the Plaza de San Sebastián. Fun fact: it was once a home for the insane! 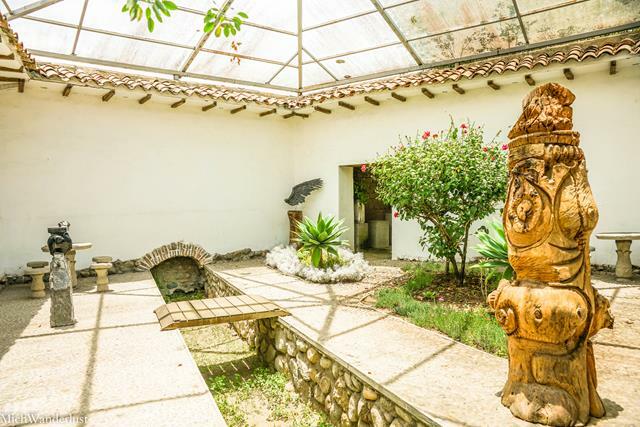 Today, it houses an interesting collection of Latin American art, including paintings and sculptures. Even if you’re not one for modern art, you might still enjoy walking around the grounds (and possibly imagining life as an inmate, haha). And – let’s face it – when nothing else is open, it’s not like you have anything better to do! Make sure you arrive early, though – it closes at 1pm on Sundays. Opening hours: Mon – Fri 9am – 5pm; weekends 9am – 1pm. I have nothing against these buses (except that, well, you need to pay). But they are a quick and convenient way to get the feel of a city. And at just US$8 per person (including a bilingual guide), it wasn’t too bad, really. The only downside is that the audio doesn’t always match up to what you’re seeing. The guide spoke first in Spanish, then English. So by the time he got to the English part, the object of interest was at times well in the rear-view mirror. Time for some neck exercise! The bus departs from the Plaza Calderon at regular intervals (they have a brochure with timings). What does this building look like to you? I thought it was some kind of government building. But it’s actually a school! Anyone else getting Harry Potter vibes? Although it’s technically a hop-on-hop-off bus, nobody in our bus actually bothered to get off until we arrived at the Mirador de Turi, a viewpoint south of the city centre. There’s a mandatory break of about half an hour at the viewpoint, though. And what a view, right? Here, we got to try some canelazo. That’s a typical Ecuadorean drink made with cinnamon and sugar, usually alcoholic but you can also get non-alcoholic versions. Confession: when it comes to food in a new city, I rely heavily on Lonely Planet. 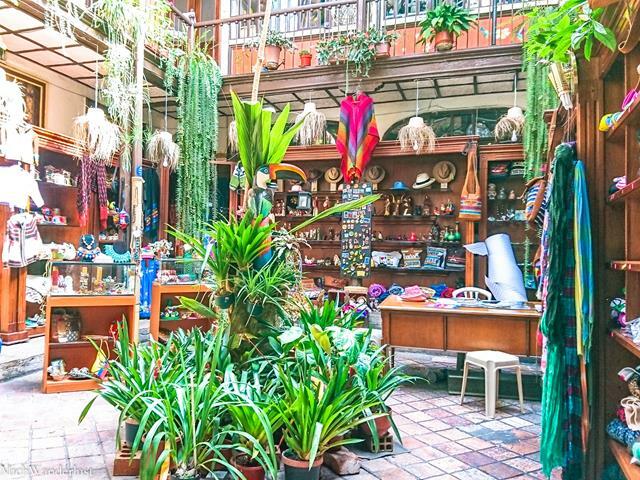 Raymipampa is conveniently located along the Plaza Calderon, so it was a no-brainer for us. 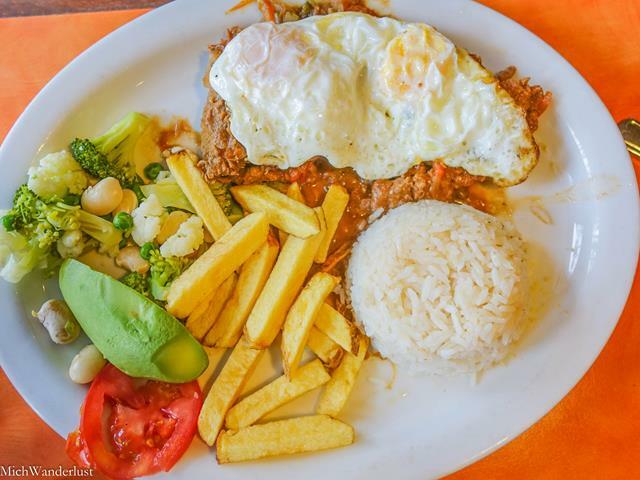 You can get typical Ecuadorean dishes like churrasco (above) as well as more standard fare like pasta. 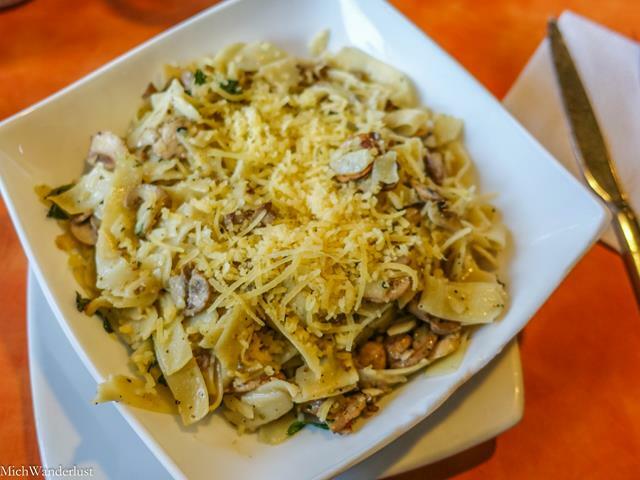 Raymipampa is one of those perpetually crowded restaurants, so it’s a safe choice if you’re new to Cuenca and want to find a reliably decent mid-range restaurant. Our meal (including drinks) cost US$17 for the two of us. Right next to Raymipapa along Plaza Calderon – in fact, you’ll probably see this first, thanks to the giant sign. You can get some savoury food there, but the first thing you’ll see will be the ice-cream counter and all the marvelous ice-cream concoctions on offer. Warning: it’s also perpetually crowded. Ridiculously so. We ate here at least 3 times – once for the sundaes ($11+ for two), once for breakfast, and once to get cake (above). Tip: The cakes are from their branch just across the road! 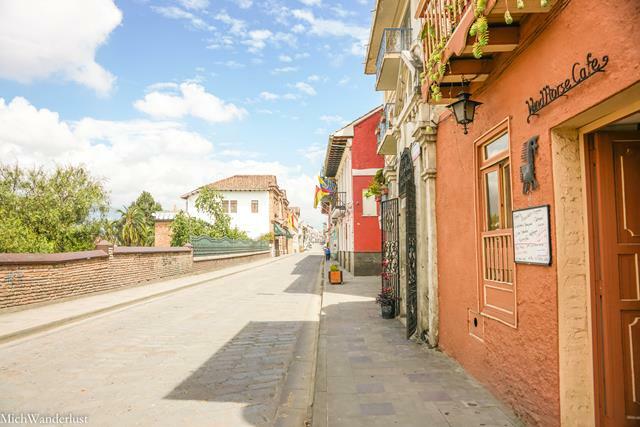 Windhorse Cafe is along Calle Larga, the street that runs parallel to the Tomebamba river. 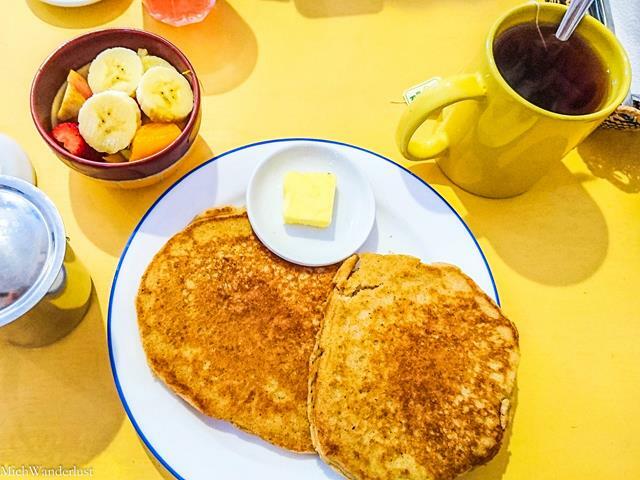 It serves mainly American brunch fare (pancakes!). 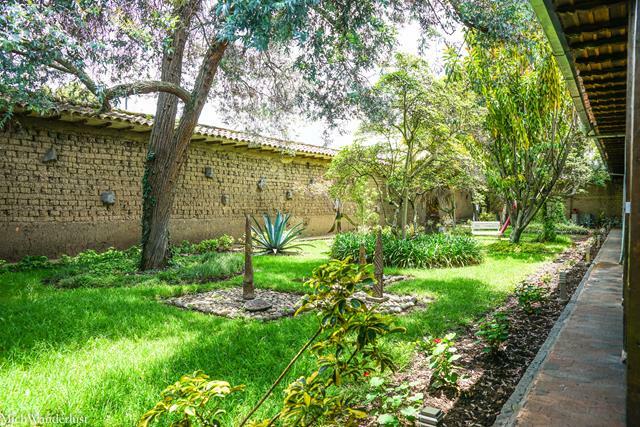 I’d heard that there’s a fairly large North American retiree community in Cuenca, thanks to the low cost of living, pleasant weather, and overall chilled-out vibe. We were there for Sunday brunch, and a large group came in and took up most of the tables. Our meal cost about $5 each. I forgot to take photos, but it’s reputedly the best coffee in Cuenca. 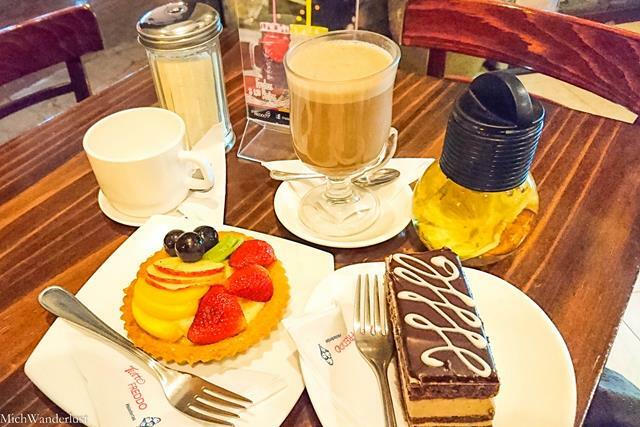 Even if you’re not a coffee person (like me), they have nice pastries and breakfast/lunch sets. Their fries are worth highlighting- a bit like Cajun fries. Our meal cost under $10 for the two of us. Address: Hermano Miguel 5-62 (between Honorato Vasquez and Juan Jaramillo). Note: the address listed in Lonely Planet is wrong! Opening hours: Mon & Tue 9am – 7pm, Wed – Sat 9am – 8pm, Sun 9am – 3pm. 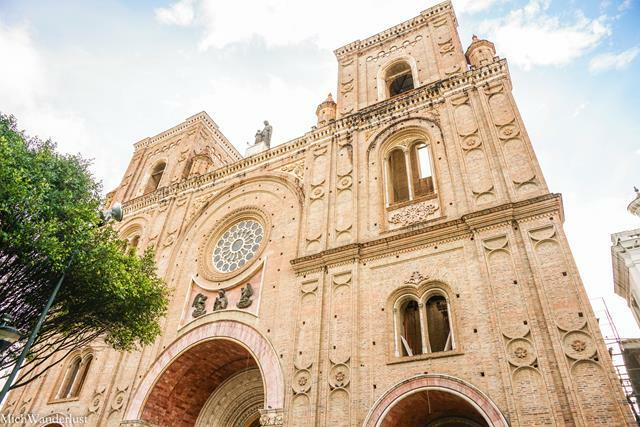 Have you been to Cuenca? What did you like most about it? What a beautiful city Michelle. I think you were lucky that all the shops were closed, you got to explore this lovely place without the hoards. Haha, that was a definite silver lining! 🙂 We stayed in Cuenca for a few more days, so we got to see more of it, but I’m glad this was my first – and most enduring – impression of Cuenca. Tranquil and chilled-out! Thanks for stopping by, Sally! That’s awesome!! How long are you there and where are you going? Ecuador is such a great country, I’m really excited for you and I hope you enjoy it as much as I did! 🙂 Thanks for stopping by, Abby! Glad you found Tutto Freddo. We used to live in Cuenca and its balcony was one of our favorite hangouts. Did you get a chance to explore Pumapungo? 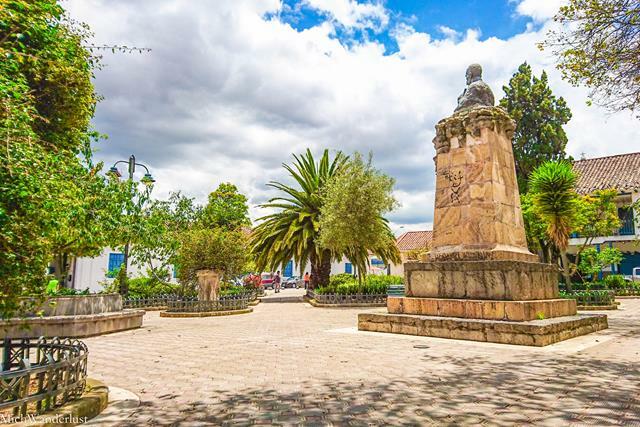 Cuenca has an archaeological park not far from Parque Calderon, where you can see the ancient Inca ruins that predate Cuenca. 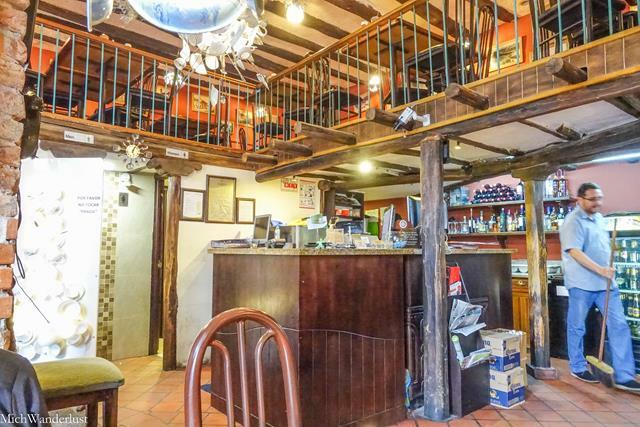 Hey Linda – Tutto Freddo just has such a great location, doesn’t it? Most of the Pumapungo museum was unfortunately closed when we were there, but we did get to see the outdoor archaeological section, which was very cool. We spent 6 days in and around Cuenca in total but it wasn’t enough – didn’t even make it to Cajas 🙁 Thanks for stopping by! I have a friend who lived and studied in Cuenca and she raves about how wonderful it was all the time. It looks like a very interesting – and not crowded on a Sunday – place to visit. Cuenca seems to be very expat-friendly! 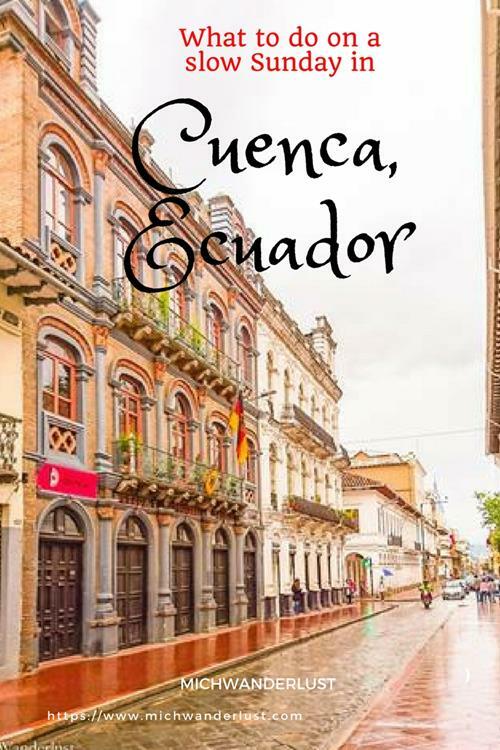 There are entire websites out there dedicated to Cuenca expats 😉 Could definitely see myself living there. Glad to know your friend loved it so much! Hope you get to visit it one day, Jill – it’s a really charming place. Thanks for stopping by! It’s always so amazing how cities can be so vastly different from one another. One can be all hustle and bustle, while others make you slow down and take your time. This seems like my kind of town, especially with two massive cathedrals! Thanks for linking up with #TheWeeklyPostcard! 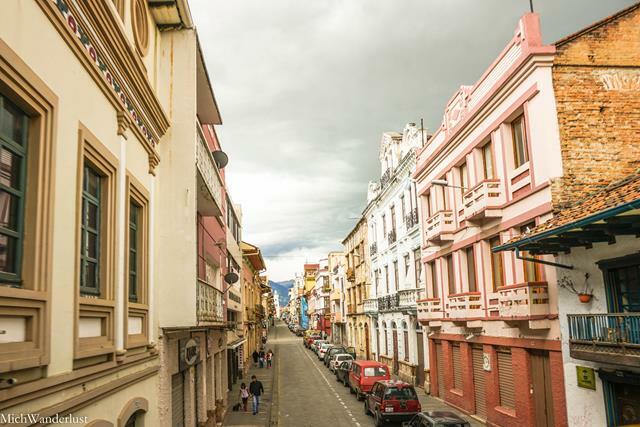 You’re so right – Cuenca and its northern cousin, Quito, are similar in so many ways but also very different! I’m quite sure you’d appreciate the architecture around Cuenca, Lolo 😉 Those second-floor balconies really remind you of a bygone era where people would sip their tea (or coffee) and watch the world passing by from their window. Thanks for stopping by! Doesn’t look a slow Sunday with so many sights and scenes! The food looks great too. I hope to visit Ecuador soon! 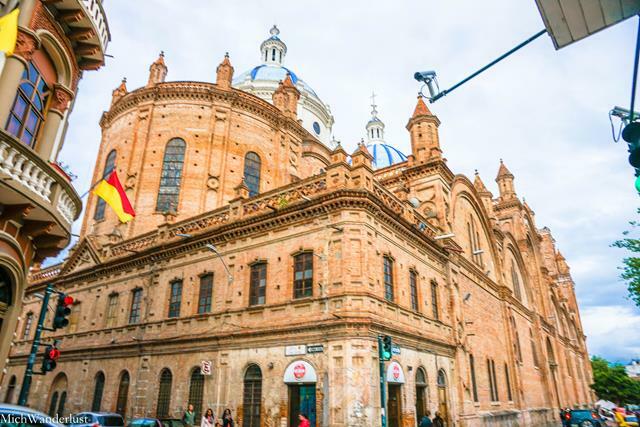 Wow – Cuenca looks like such a beautiful place, with all of the color and great architecture! And then there’s the food. 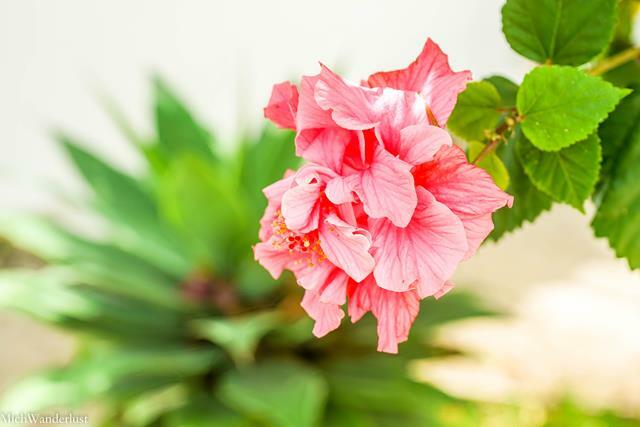 Mmmm… We are ashamed to say we don’t know too much about South America, so we love your posts. And we think we’d love spending a Sunday (or any day!) in Cuenca. Thanks for sharing on #TheWeeklyPostcard. Thanks so much for your kind comments, guys! 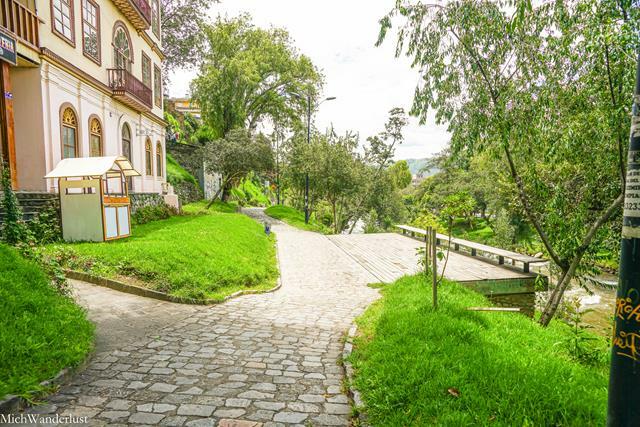 Cuenca is indeed a gorgeous city – probably the most beautiful one in Ecuador in my opinion (sorry, Quito!). I liked that it was less crazy than Quito (even on normal days, haha) and more relaxed overall. 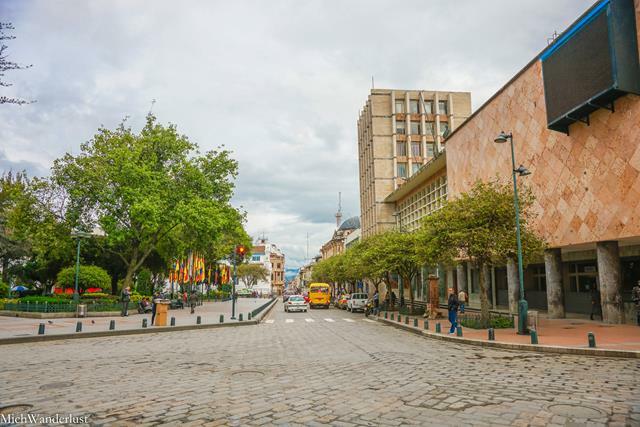 Oh, and the streets are noticeably cleaner 😉 If you do visit South America, it’s worth putting on your itinerary! Yep, it was a blessing in disguise I think that everything was closed – we got to familiarise ourselves with the city with nobody else around! And we stayed for a few days after that so we did get to see more stuff. Win-win! 😀 Thanks for stopping by, Ava! My big query here is safety. Empty streets are rarely a good sign in South America, particularly in Quito at night. How about Cuenca? Did it feel like a safe city? It certainly looks like a beautiful place with lots to see, but is it a safe place to visit? ‘Sounds like a great Sunday to me – the garden, museum, the hop-on-hop-off buses, and excellent food! What not to like me thinks! 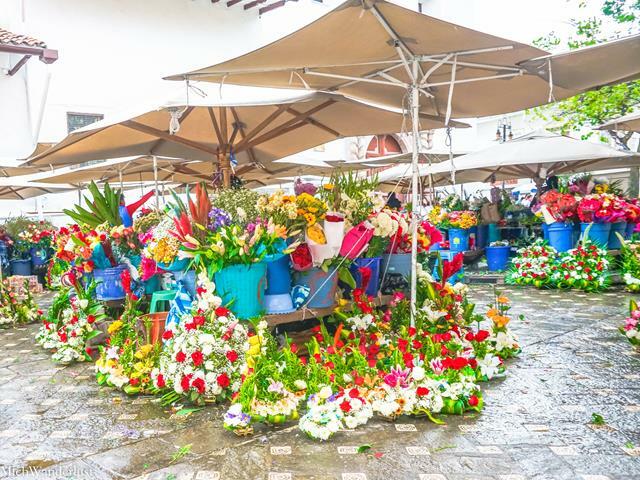 Indeed – it turned out to be a pretty great first day in Cuenca! 🙂 Thanks for stopping by, Victoria! Wished you posted this 2 weeks earlier, when I arrived in Cuenca on a Sunday. Hahaha. I arrived in Quito on a Sunday too and everything was closed tambien. I’ve noticed this throughout the continent. Your photos are pretty! Hey Owen – thanks for your kind comment! Yep I think it’s something of a Latin American habit, haha. Hope you still enjoyed Cuenca anyway! Did you visit Cajas? You’re travelling in the opposite direction from me (I went north to south) so it’s interesting to see how your experiences shape your perception of a place! Yeap I did. I’m pretty sure you liked my Cajas photo on IG hahah. TBH I’m getting a little tired of cities – they’re very similar. 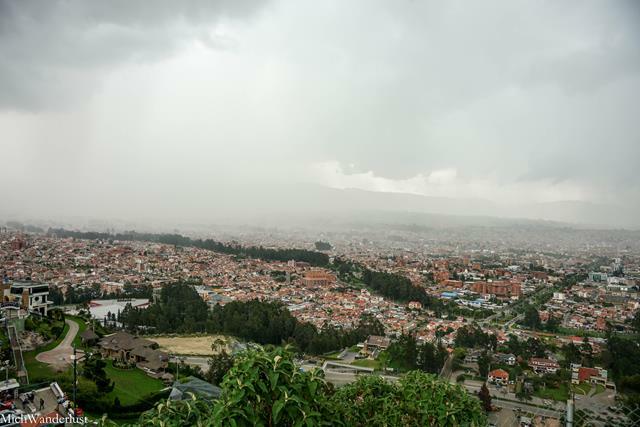 Even the UNESCO cities like Cuenca, Quito etc. 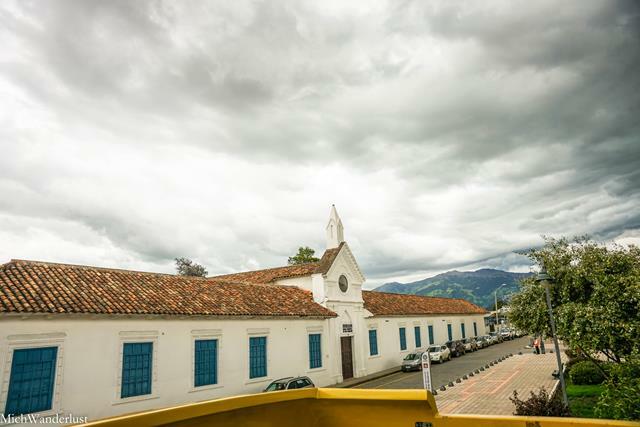 In fact I think I’m skipping Popayan – another one of the many Ciudades Blancas I’ve visited. You have so many spectactular hiking photos on IG, I probably did like the Cajas one haha. Guayaquil is completely different, btw (weather is a LOT like Singapore). I only had 2 weeks in Colombia so I skipped Popayan as well! Priorities. This is definitely my kind of place! The city looks so pretty, full of heritage past. 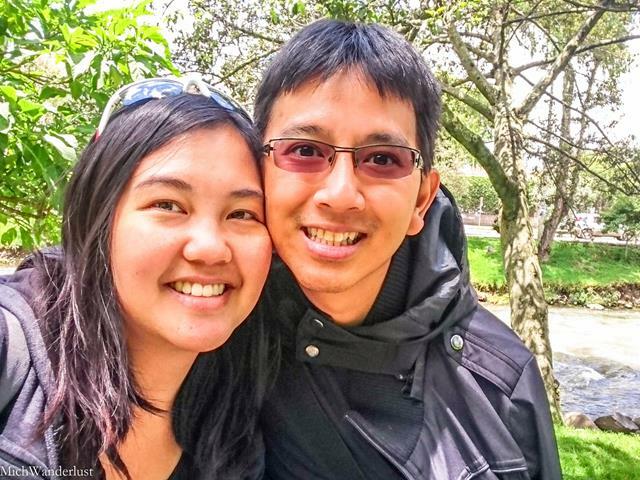 I can relate to your opinion about avoiding crowds during the weekend – weekends in Singapore are exactly the same as weekends in Malaysia – public places especially shopping malls are crowded with people! Haha yes, whenever I’m in KL I try to avoid the malls on the weekends too! 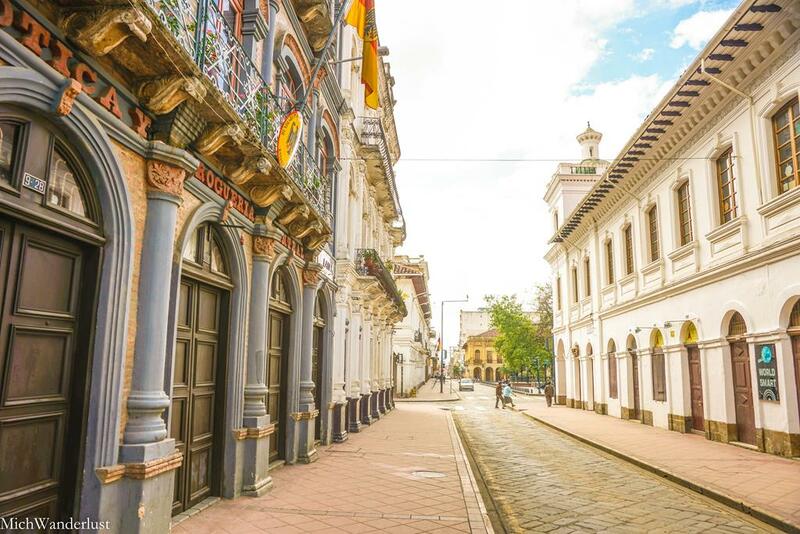 Cuenca was a really refreshing change from that – nobody out and about on a Sunday, leaving you free to roam about on your own 🙂 Thanks for stopping by, Kat! Wow! Cuenca seems so charming and lovely, Michelle. I am adding it to my bucket list. I will definitely use your post as a guide. When’s the best time of the year to explore this place?